Some food is just connected to certain occasions. Popcorn & cinema, fairy floss & fair or pancakes & sunday brunch. Even though I can have one without the other, I only get the pure self-indulgence if I have them together. One of these dream-teams is a football match on TV and homemade pizza. Usually I really hate it to eat in front of the TV, but with pizza and football this is different: I love to loll sit on the couch and eat the slices with my hands. 1. Put the spinach out of the freezer to defrost it. Liquidate the yeast in the lukewarm water. Stir the dry ingredients, add the liquid yeast and olive oil. Knead the dough until you can form a ball. Put the bowl in a warm (about 37°C/100°F) place for about 30min, until the dough has doubled its size. I like to put it into the oven and switch the light on, this is just the right temperature. 2. 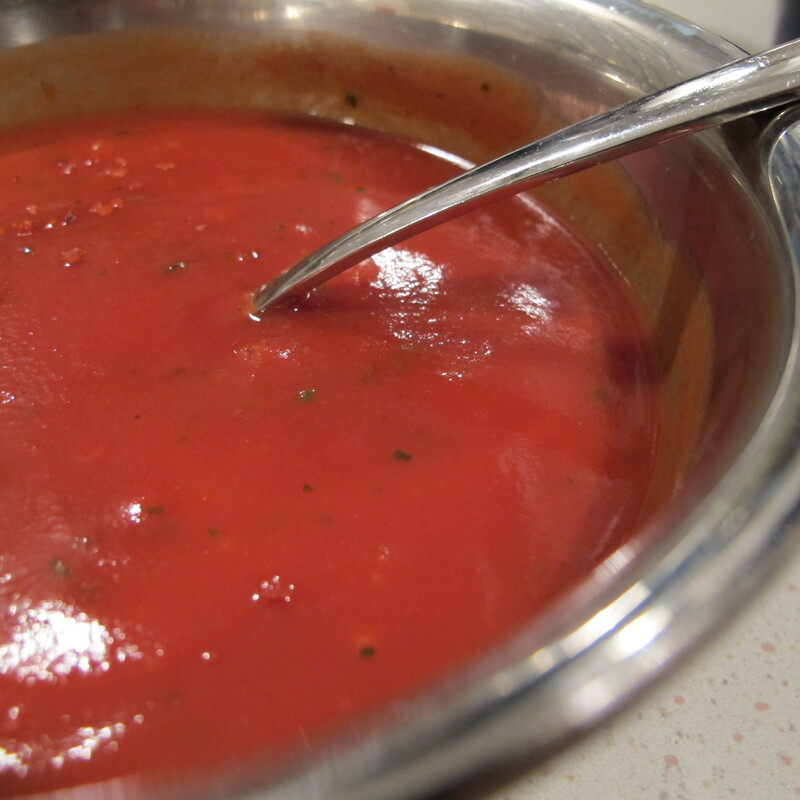 Stir the strained tomatoes with the tomato paste and the herbs and press the garlic glove into it. Season to taste with the spices. 3. Preheat your oven to the maximum power and start to roll out the dough. I like to roll the whole dough out on a baking tray, covered with baking paper, because my oven isn’t capable to bake 2 pizzas on top of each other at the same time. 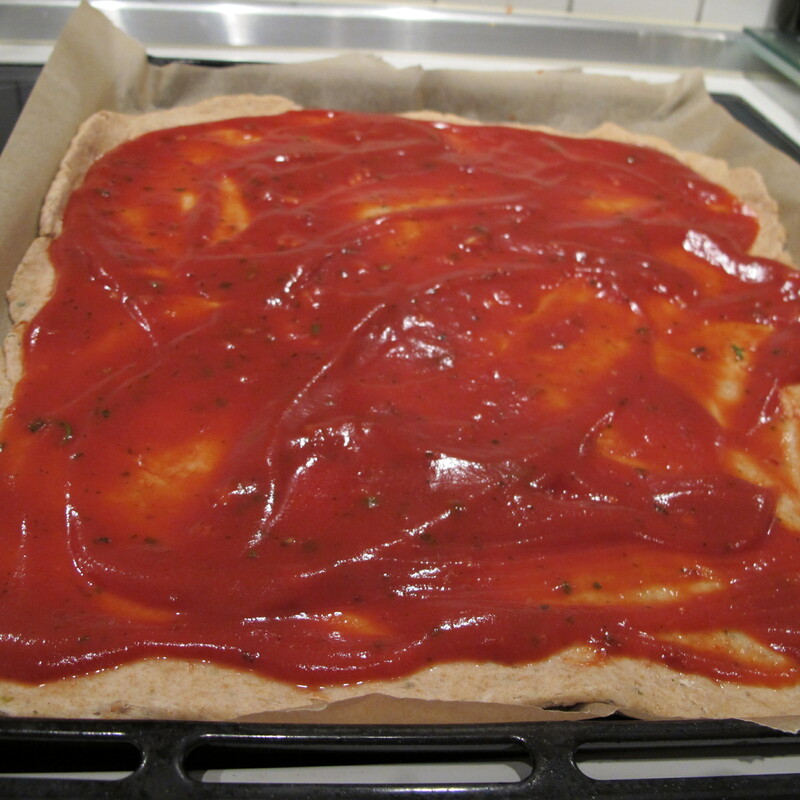 Spread the sauce evenly over the dough. Then strew the cheddar cheese over the sauce. 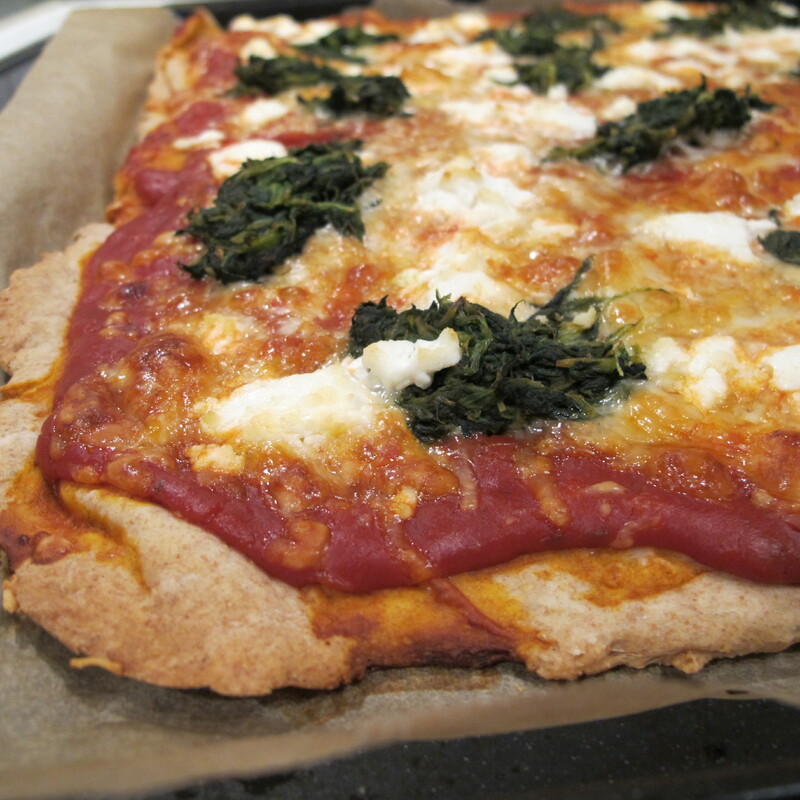 Squeeze the defrosted spinach to avoid too much water on the pizza. 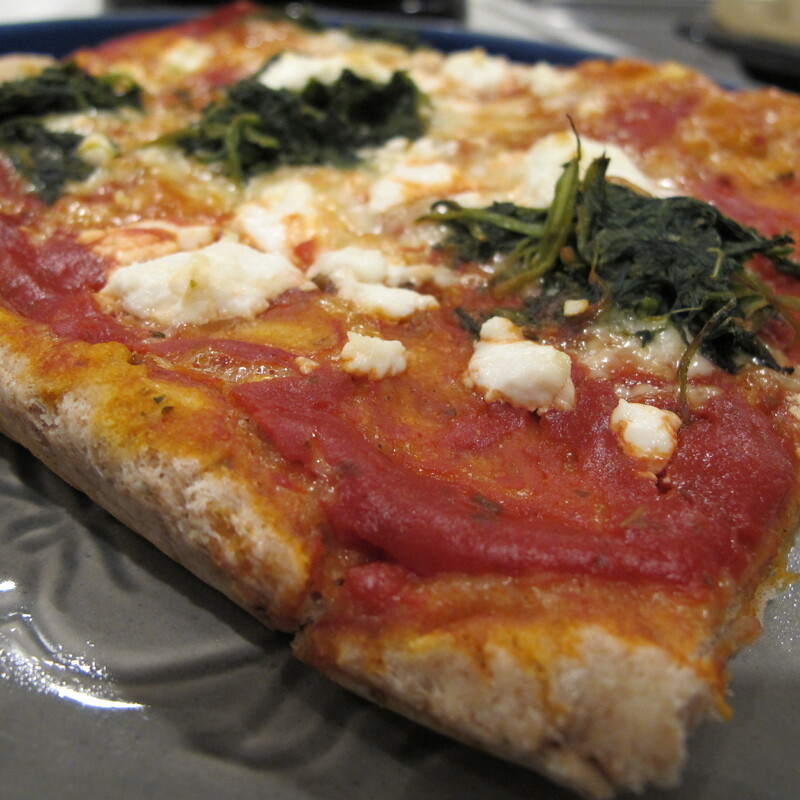 Put the spinach on the pizza and crumble the goat cheese over it. 4. Bake the pizza for about 20min, until the cheddar cheese is golden.